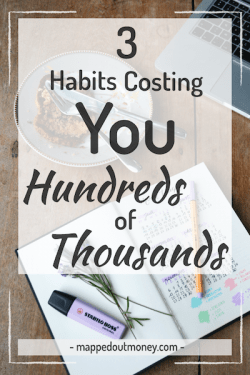 I’ve been frustrated for awhile with a certain aspect of my savings. 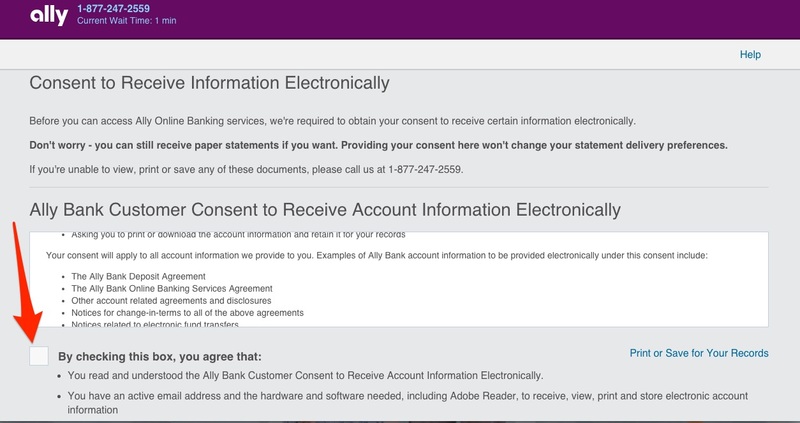 And just a few weeks ago, I switched to Ally Bank and now my problems have totally gone away. I know that sounds super gimmicky and something a super sleazy sales guy would say. But Ally isn’t paying me a dime to write this article and I don’t receive anything for doing it. I just seriously love their online savings account. 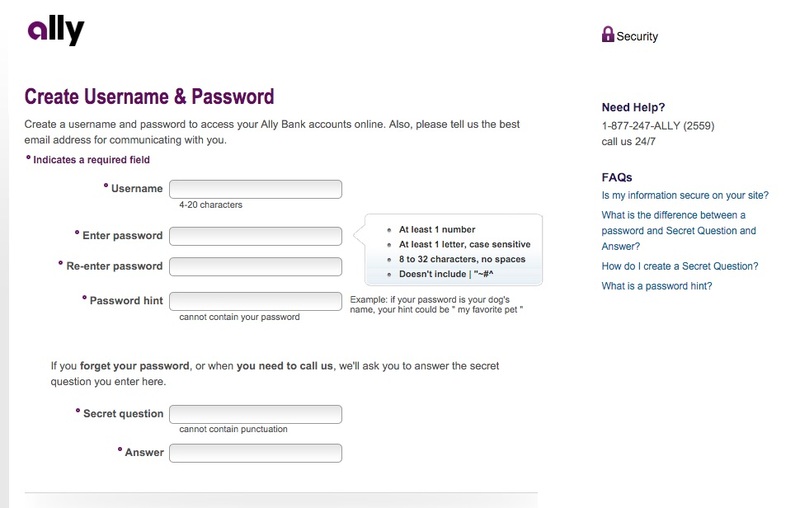 Ally Bank is an online only bank. This means that they have a super low overhead and can pass those savings to us. Sure 1% interest isn’t a ton, but it’s literally 100 times more than the 0.01% I was getting at my local bank here in Chattanooga. 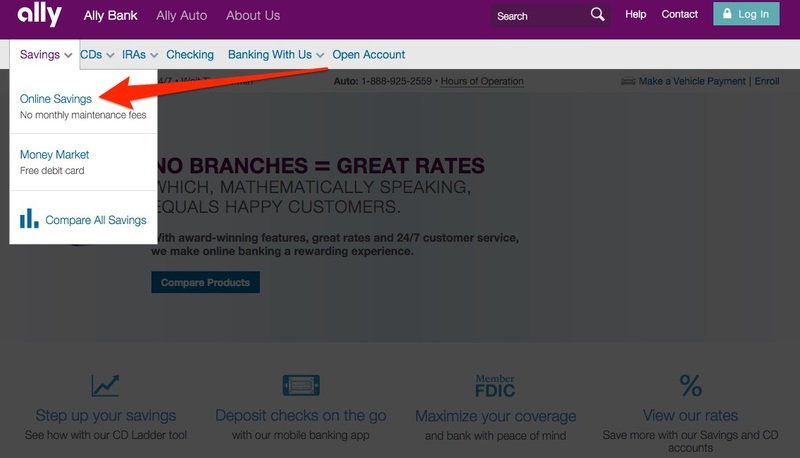 Also, if you search around online, you’ll find that 1% is at the top of the industry for online banks like Ally, Discover, Capital One, and Barclay. 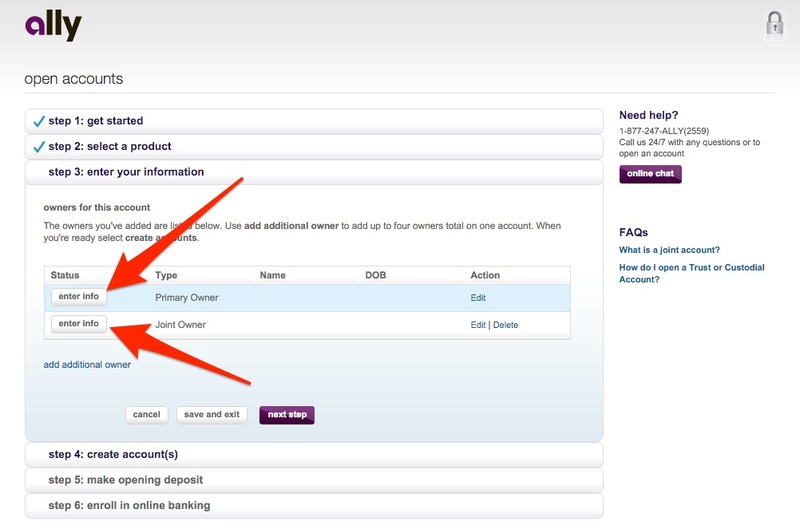 In fact, I recently banked online with Discover and really had a great experience. However, I still decided to leave and switch to Ally. And there’s 1 reason I decided to make the switch. They let me group my money into different accounts based on what I’m savings for. 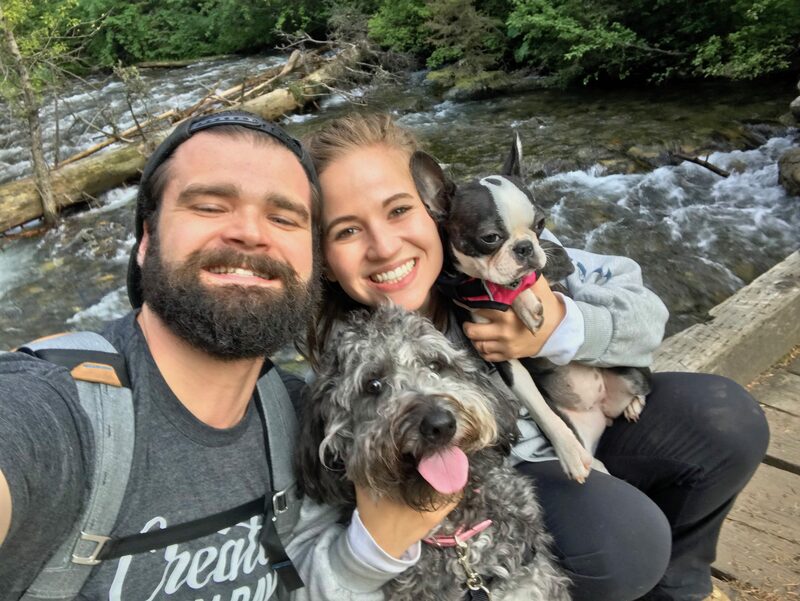 My wife and I have an “Emergency Fund” that we keep in an FDIC insured savings account. This emergency fund is a few months of living expenses and it’s only to be used in a real emergency (hence the name). We also have other savings goals. We save for things like vacations, Christmas presents, a new puppy, a Go-Pro, a new car, a house downpayment, and lots of other things. Sometimes it takes us a few months or even a year to save for these types of purchases. And the timeline is too short to put that money in the stock market. So instead, we like to put it in savings so that it can, at least, earn 1%. But here’s the thing. I HATE putting that money into the same account as my emergency fund money. I really want to be able to separate everything out so that I can see my progress. There’s also one other huge benefit to separating your money. 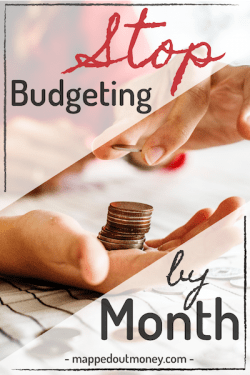 You create a budget for all of your spending and for how much you want to save each week for your Chile trip. What happens when you run out of normal spending money, but your friends try and get you to go out for drinks again this weekend? Well, now you’re forced to make a decision. You can either not go out. Or, take money out of your Chile fund so you can go out again. There is a major psychological barrier now that forces you to choose one over the other. And when you keep the money separate like this you’re much more likely to actually save the money for your trip. 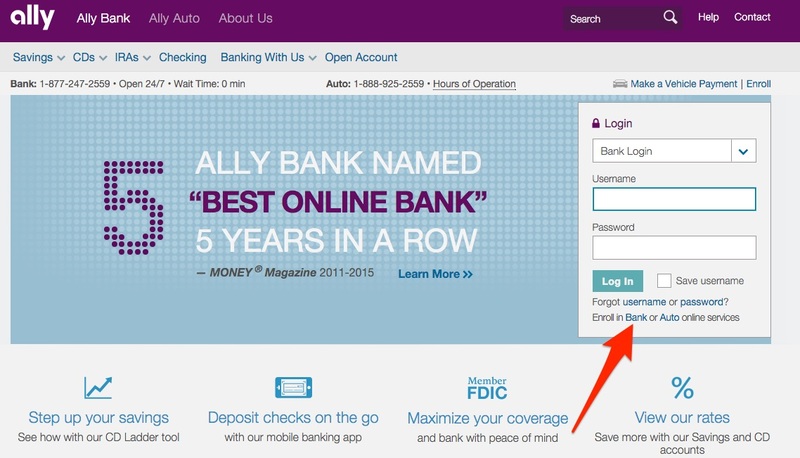 Ally knows how helpful this is, so they make it super easy to open as many accounts as you want to and integrate them together. 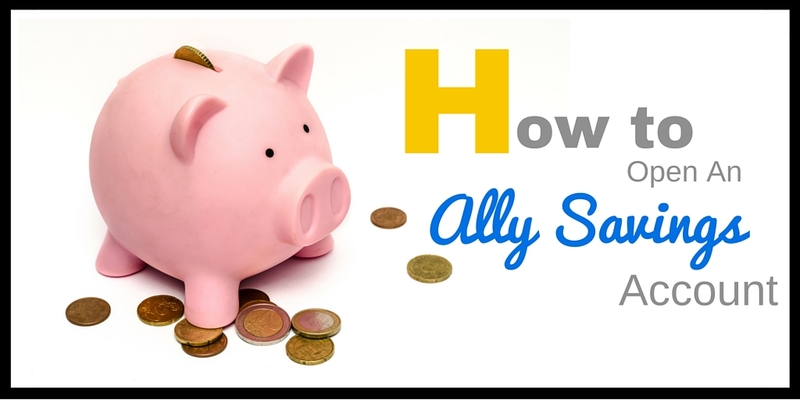 Ally lets you open up to 25 different savings accounts and then puts them all together in one nice dashboard. You’re able to log in with one username and one password and view all of your accounts easily and quickly. 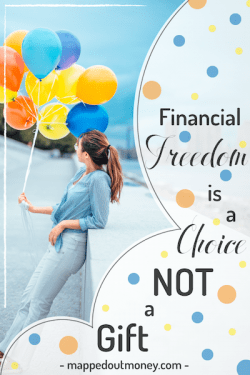 And because there isn’t a minimum balance requirement like most banks, you’ll earn 1% on your money regardless of how much is in each individual account! I know this sounds like a no-brainer for companies. I’ve been wondering why more and more banks aren’t allowing you to do this. But for some reason, Ally is only 1 of 2 banks that I know of that allow you to do this AND have the highest interest rates around. So now you know why I love Ally and why I think you should too. 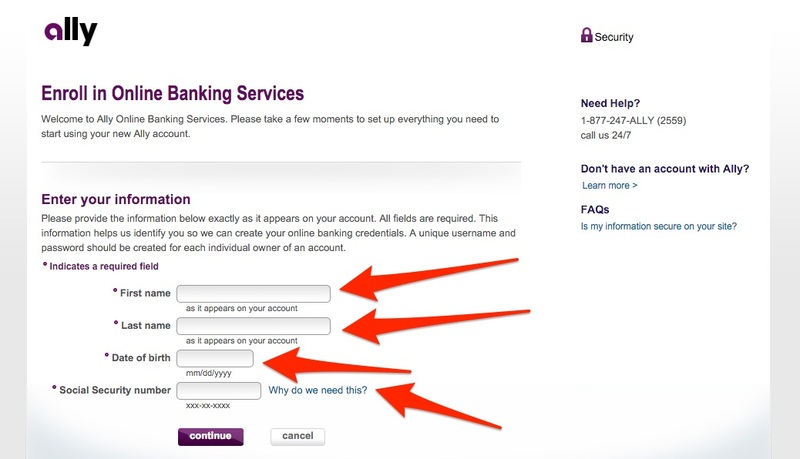 Next I want to show you how to actually open an account with them. Like I said, I just recently went through this entire process and I took pictures the whole time so that I could walk you through it too. At this point, you should scroll down the next page and read about the account that you’re opening. I truly think it’s the best out there and it’s what I personally use, but you should check it out for yourself. The online application is super easy. It only took my a few minutes and I was taking screenshots and drawing super cool arrows the whole time! 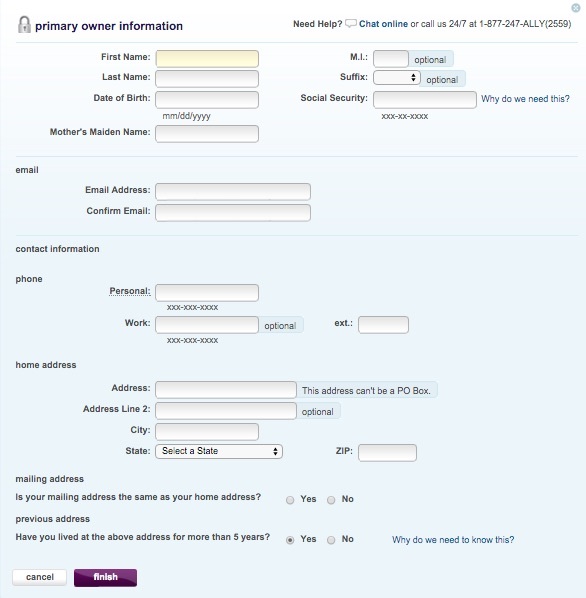 Get your personal information like birthday, social security #, and bank information together and you’ll be good to go. Next select whether this is a joint or individual account. I wanted Hanna to be on the account with me so I selected the Joint option. 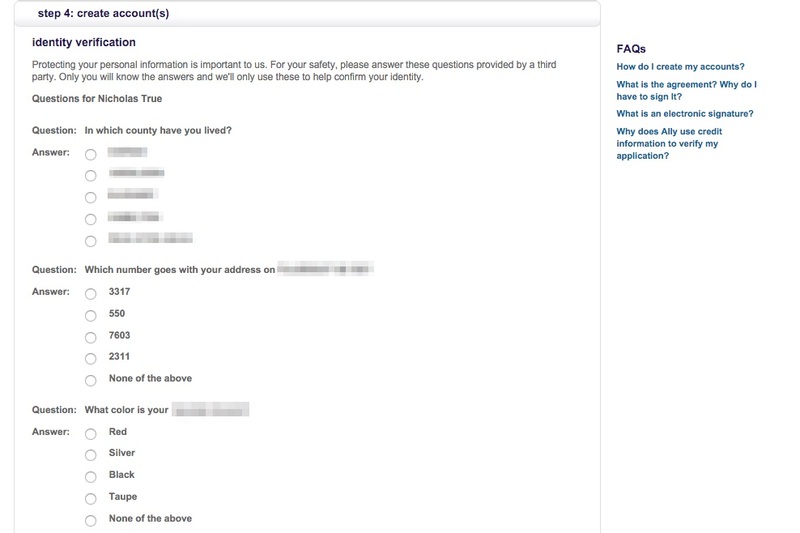 Then you’ll be asked to enter the personal information for everyone on the account. You’ll be asked normal information that you would need for opening any type of financial account. They need things like names, birthdays, social security numbers, and contact information. Don’t worry, their site is secure and you are safe using them. After entering information for everyone, you will be taken to the terms and conditions page. 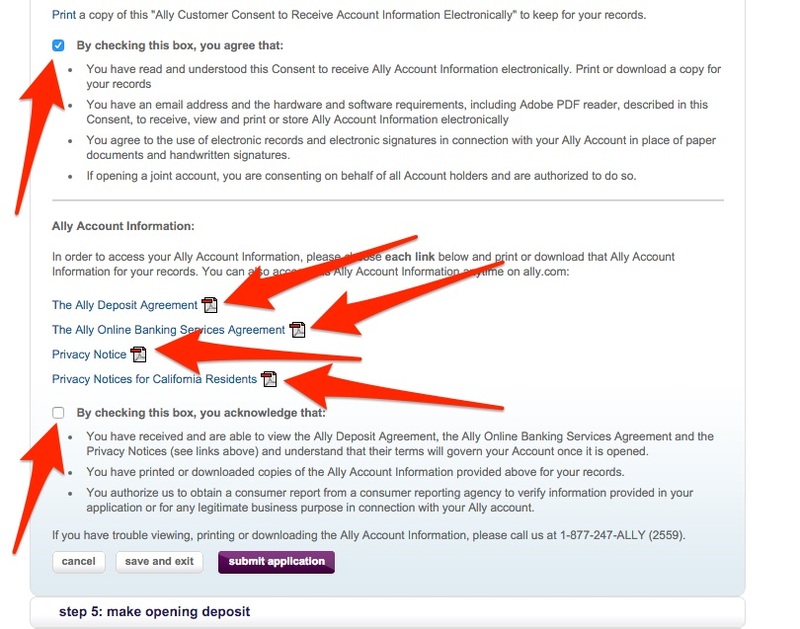 Ally will have you check the box that you agree to their terms and give you the option to download all of the terms and conditions from them. You should go ahead and do this and store it somewhere safe on your computer. After accepting the terms and submitting the application, you will need to verify your identity by answering a few personal questions. These questions will typically be about places you’ve lived, people you’re related to, or types of finance accounts that you may have in your name. Just answer them honestly and then submit the verification. If this is your first Ally account you will see this screen next. I thought that I would be able to set everything up online right then. Unfortunately because it is a financial account, Ally needs a few days to process the application and verify that it is actually you. So don’t be upset. They do this for your protection. I received a phone call about 2 days later that was just once again asking me to confirm that I wanted to open the account and that I was actually Nick True. 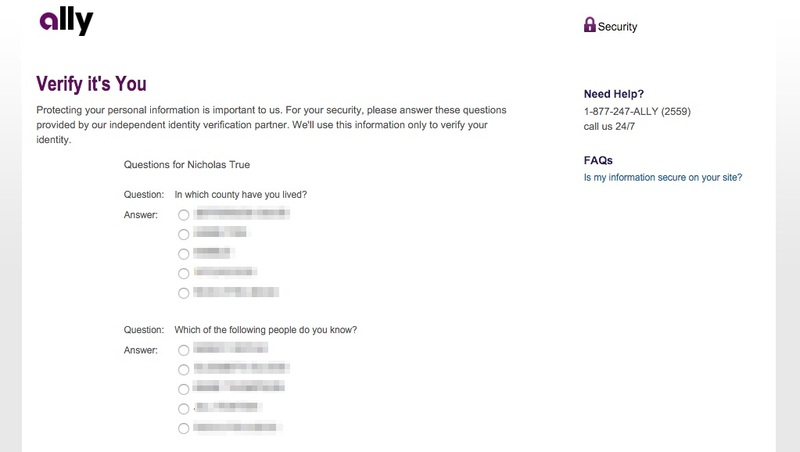 Again, with all of the identity theft going on nowadays, I was actually happy to wait and it made me feel good knowing that they are doing everything they can to protect me from identity theft. A few days after the phone call I received this in the mail. 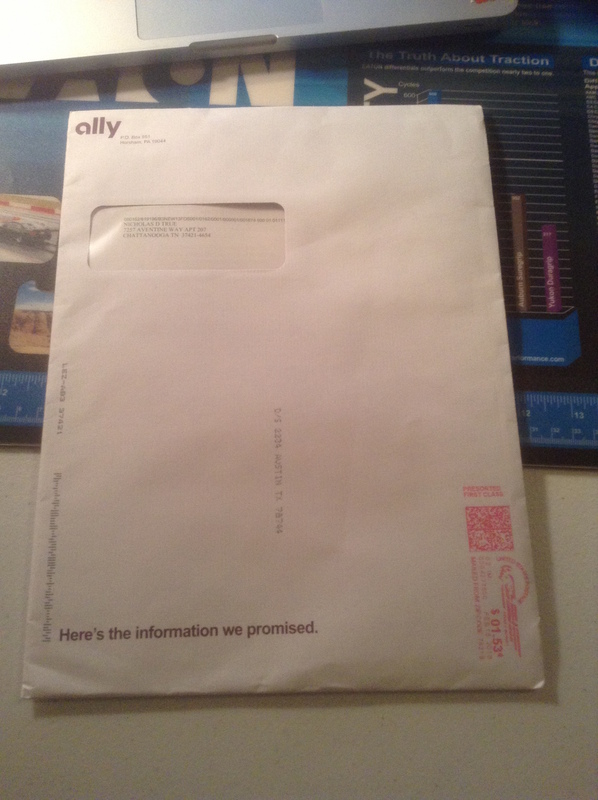 This package is my welcome kit from Ally and had more information about the savings account. The main thing you need to do now is open the package and find the signature cards. Ally sends a signature verification card that you must sign and then mail back to them. Don’t worry they include an envelope with free postage. So all you need to do is sign the card, put it in the free envelope, and stick it in the mailbox. Once again, they make it all super easy. You don’t have to wait for the signature cards to arrive. Once you’ve got your packet, you’re ready to open up your online account and transfer money to it. Next you’ll enter your information so Ally can find your account. You’ll need to verify your identity again. I know, I know, it’s like you’re asking to access stuff even Hilary Clinton doesn’t have access too. But for real, it’s for your own good. After that, you can finally set up a username and password. 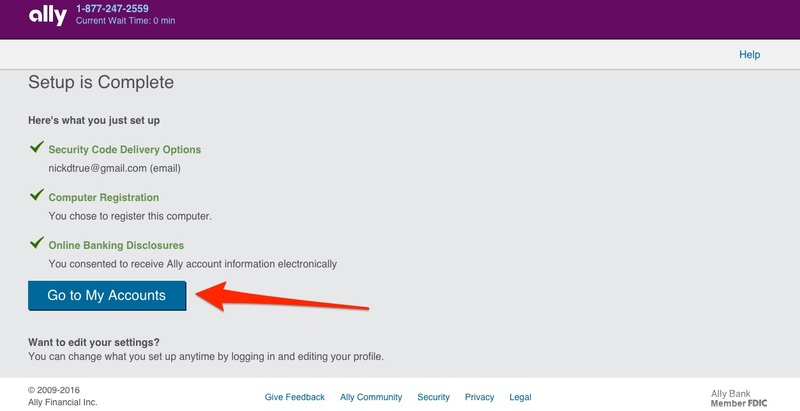 Once you’ve done that, you can now log in with your newly created credinitials! After you log in you will immediately want to sign up for receiving everything electronically. This way Ally will just shoot you an email every month with your statement and you can access everything easily online. Yay! Setup is now complete! 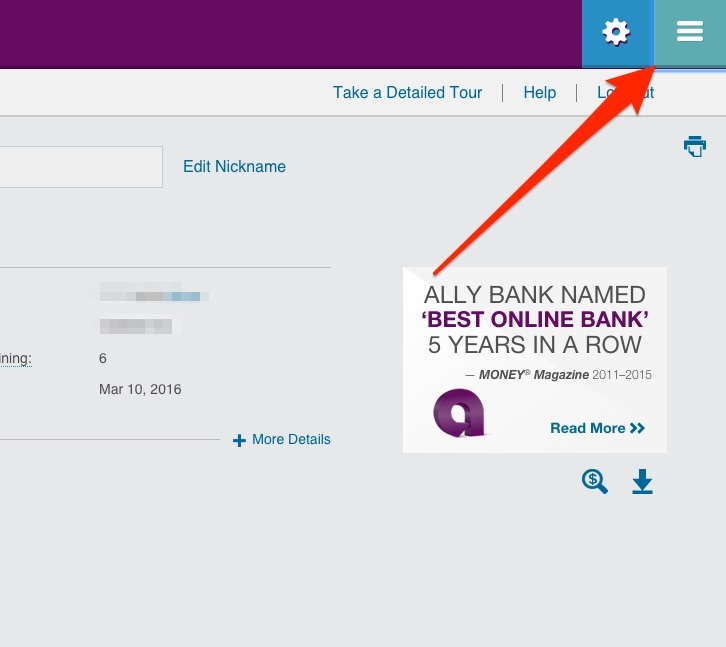 Here is your new Ally bank dashboard and this is where you will eventually see all of your accounts (if you choose to open more). I would first take a tour and let Ally show you around the dashboard. Then I would make sure again that you’re enrolled in paperless statements. 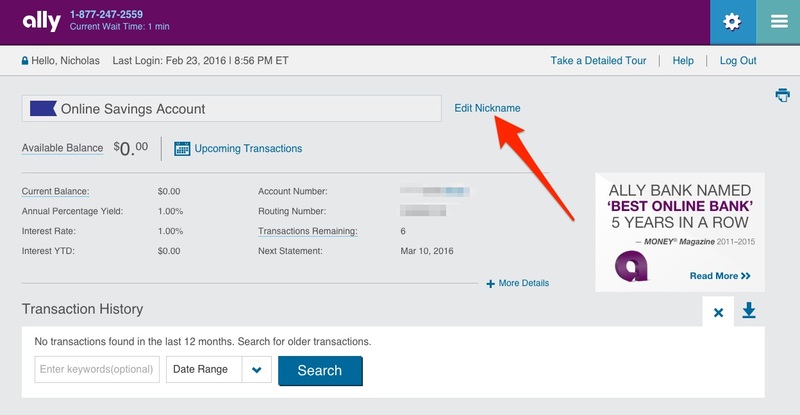 Next you want to give your new account a nickname! I chose “Emergency Fund” for my first one, but you can choose whatever you like. 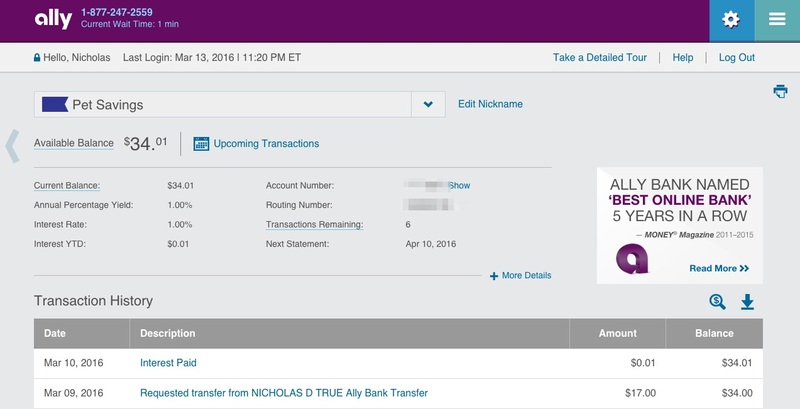 After you give your account a nickname, you’ll want to transfer money to your new Ally savings account. Start by pressing the menu navigation button in the top right-hand corner. 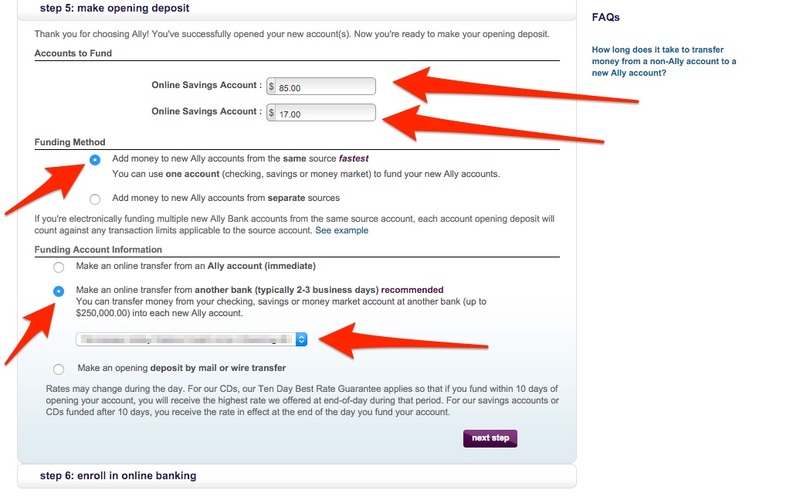 If you already have an online checking or savings account with Ally you can choose that option now. But I don’t, so I am going to trasnfer money from my checking account at a local bank. I wanted to be able to trasnfer money back and forth between my new Ally Savings account and my local bank here at home. You could just make a single deposit with a check but I knew that I would be sending money back and forth in the future, so I wanted to go ahead and link the accounts. If you want to do the same choose “checking” in the drop down on the next page. 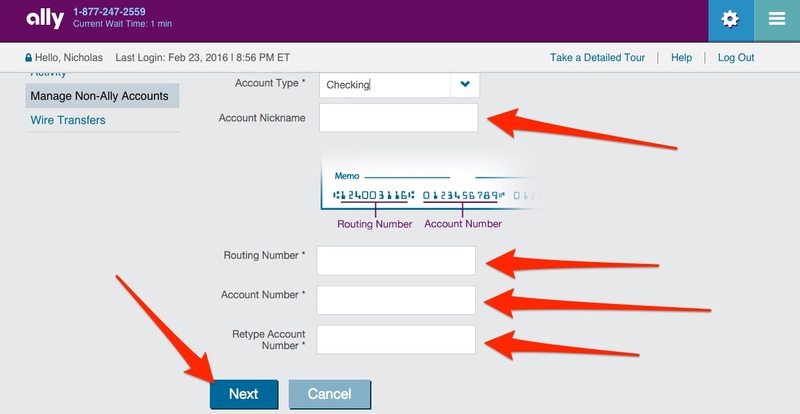 Then you can input your bank information link bank routing number and account number. Next you’ll need to verify the account. 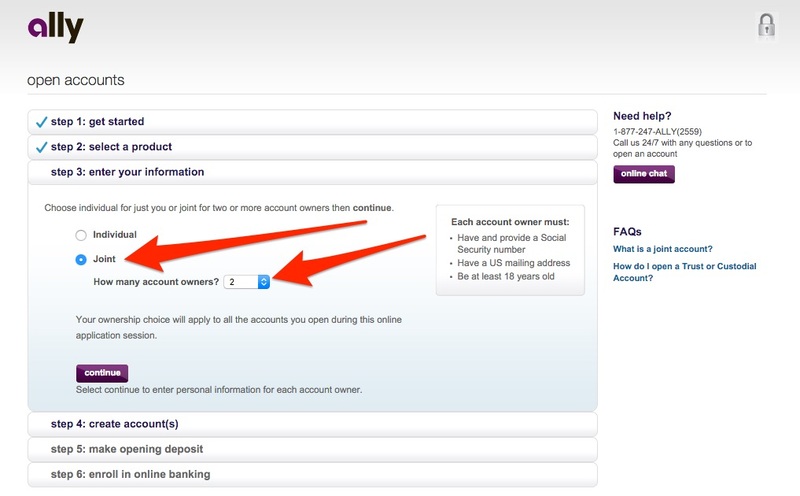 If you have online access to your checkign account you can choose to “verify instantly”. I went ahead and chose to verify instantly so that I could get going right away. 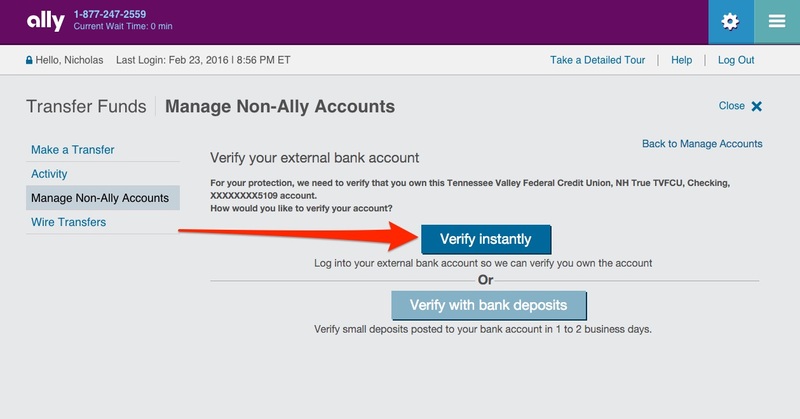 After the account is verified, you can make a transfer to your new Ally Savings Account. Then you can choose the amount you want to transfer and what date you want to transfer. You’re all set up with your very first account. If you only want one Ally savings account you can stop here. Enjoy the high-interest rates and the super easy to use platform. But if you’re like me and you want to have multiple accounts to separate your savings, then there’s one more step. You’ll now be taken to the exact same application that you filled out in Step Number 2 above. Fill out the application just like normal, except with two differences. You can open up multiple accounts at a time if you want. You can go ahead and make deposits if you want. I chose to open up 2 more accounts. I wanted to have a Christmas savings and a Pet savings. My wife and I like to send a certain amount of money every month to our savings for Christmas. That way when Christmas time comes we already have enough money to cover presents, decorations, and other Christmasy stuff. 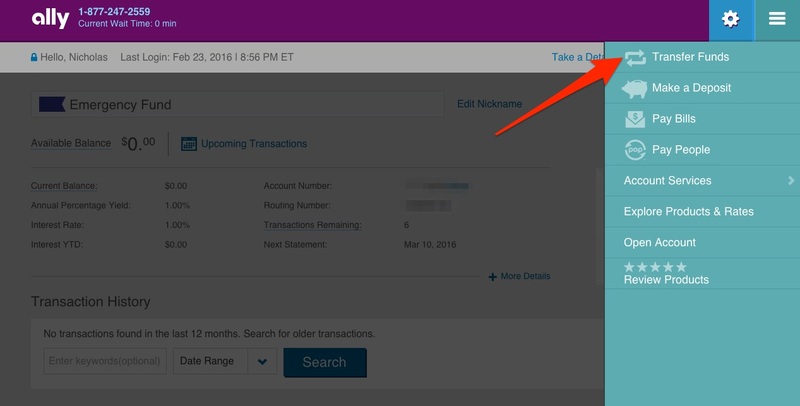 So you can go ahead and set up multiple accounts right from the start. When you get to the “select a product step” just keep adding savings accounts “products” until you get as many as you need. The other difference between now and the first time is that you can go ahead and make deposits. Now that you are already a verified Ally user and have an account, you won’t have to wait for a phone call to set up the accounts and make your first deposit. When you get to section 5 of the application you can input how much you want to deposit to each account that you’re opening. You can see below that I’m starting with $85 for my first savings account and $17 for the other one. 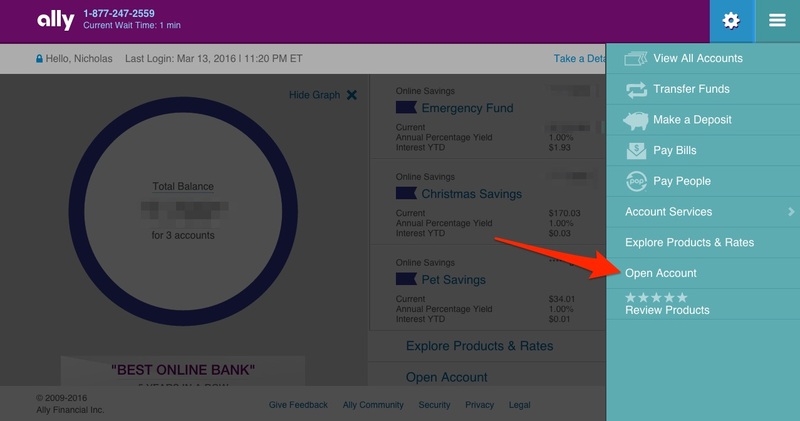 Just put how much you want to deposit and then choose the checking account you already set up. 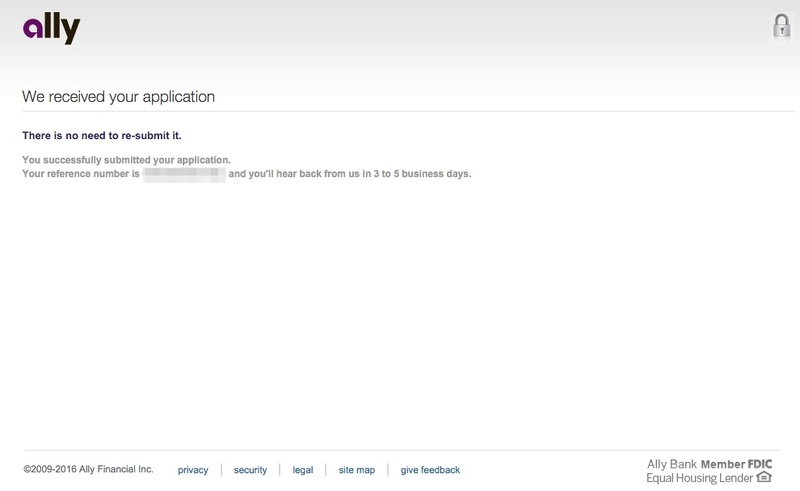 Once you finish the application just choose “next step” and you’ll be taken to the terms and agreement screen again. Accept these terms and then you’re done. 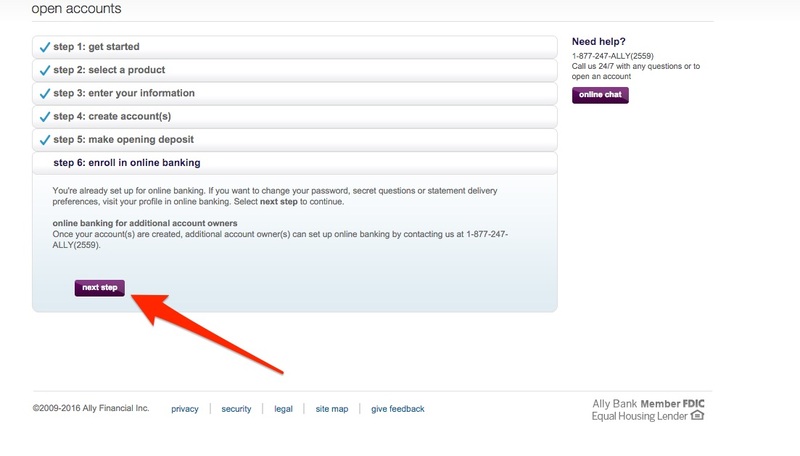 Once the set up is complete you can login to your account using the same login you created earlier. You can change the names of each account to suit your own preference. And the great thing is, the names don’t always have to stay that way. You can start out with “Trip to Chile” and then after the trip is over go back and rename that savings account to your next savings goal! Check out the image below for what your home screen looks like with multiple accounts. Your home screen shows you a total balance for all three accounts and the individual breakdown of each account. If you want to, you can click on each account to see the specific details of that account. This is what my Pet Savings looks like. 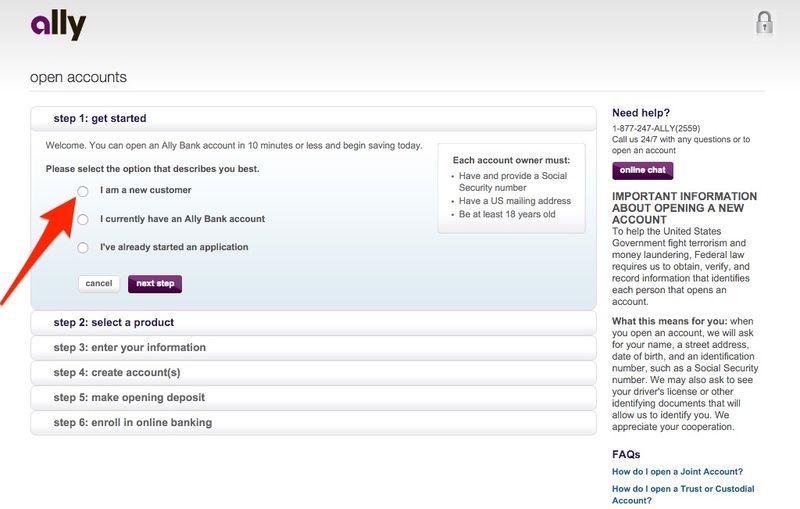 So that’s how you set up your online savings account with Ally bank. If you have any more questions about Ally, please leave a comment below and I’ll be sure to answer. I’ve really enjoyed using them and I hope you do too. 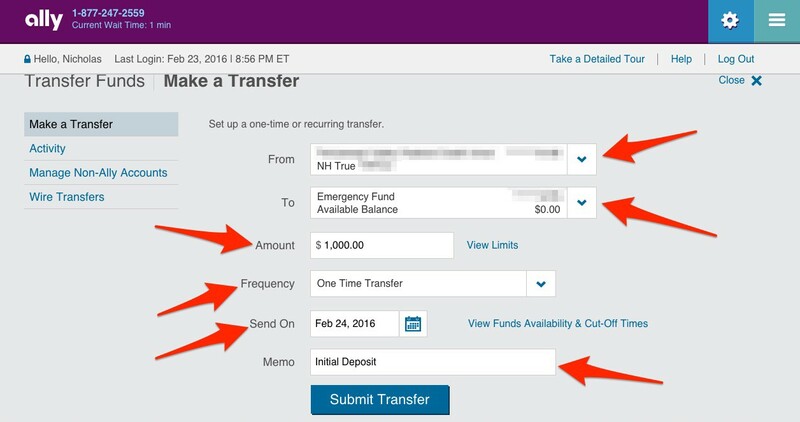 If you found this helpful, please use the buttons below to share with your friends who might want help setting up an online savings account too! Hi, I wanted to ask if when Ally called did they ask you to send them a copy of your driver’s license to help verify your address? Yes I believe they did. I scanned the drivers license and emailed it to them. But if that’s a problem, you can ask them if there’s another way and they will sometimes allow you to send a utility bill or other form of proof of residency. Nick, I also have Ally Bank Savings, Money Market and 11 month no-penalty CDs. I started with Ally about 5 years ago and have always been pleased with their customer service and online facilities. 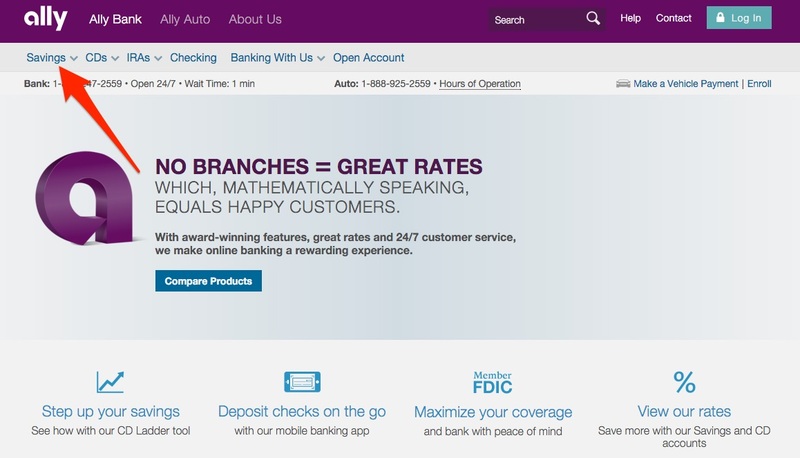 I began with Ally Bank because they had higher yields than many competitors at the time. Also, because their penalty for early withdrawal from their various term CDs was only 2 month interest. Thus, you could purchase a longer term CD, for example, 5 year, get a higher yield and generally come out way ahead if you had to terminate the CD after 6 months or so compared to the lower yields on their shorter term 6 month, 1 year, etc. CDs. Ally has since increased their penalty for early withdrawal on their longer term CDs making the above strategy less beneficial. Ally also seems to be lagging a bit behind more competitors on the yield they pay on various products. 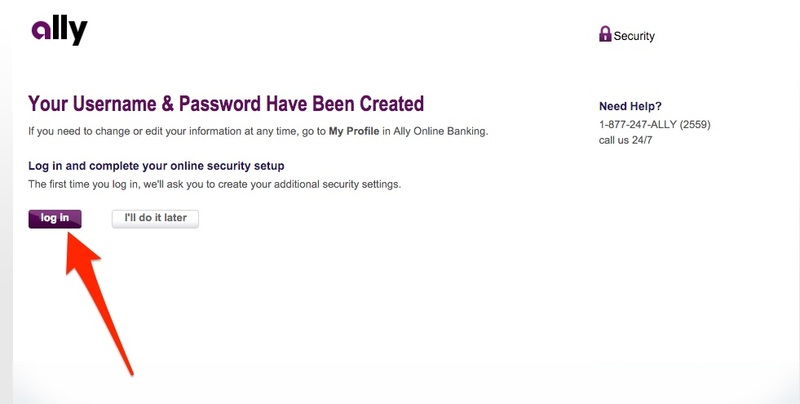 Thus, I have begun to split my online accounts between Ally and CIT Bank. 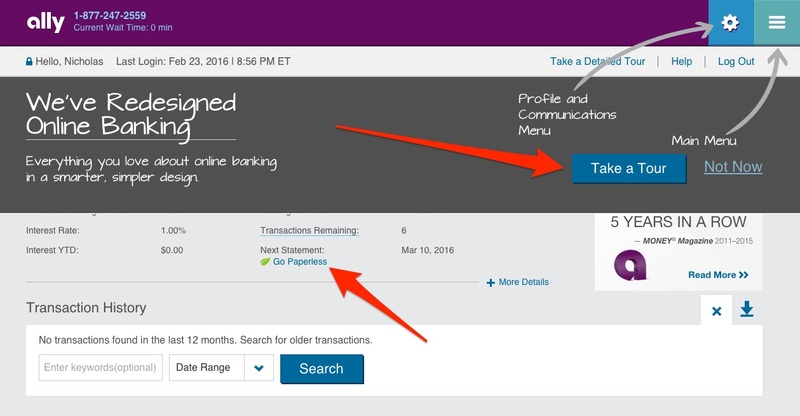 At this time, 3/20/2018, CIT Bank is paying 1.75% on their MM Account vs. 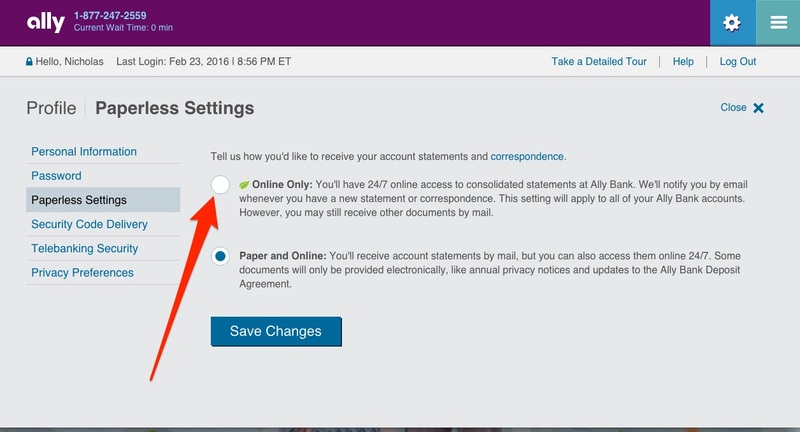 Ally Bank 0.90% for balances under $25K or 1.00% for balances of at least $25K on their MM Account, or 1.45% on their savings account of any balance. Also, CIT Bank’s 11 month no-penalty CD, minimum of $1K, pays 1.85% versus Ally Bank’s 11 month no-penalty CD paying 1.15% on CDs under $5K, 1.25% between $5K and $25K and 1.50% on CDs of at least $25K. 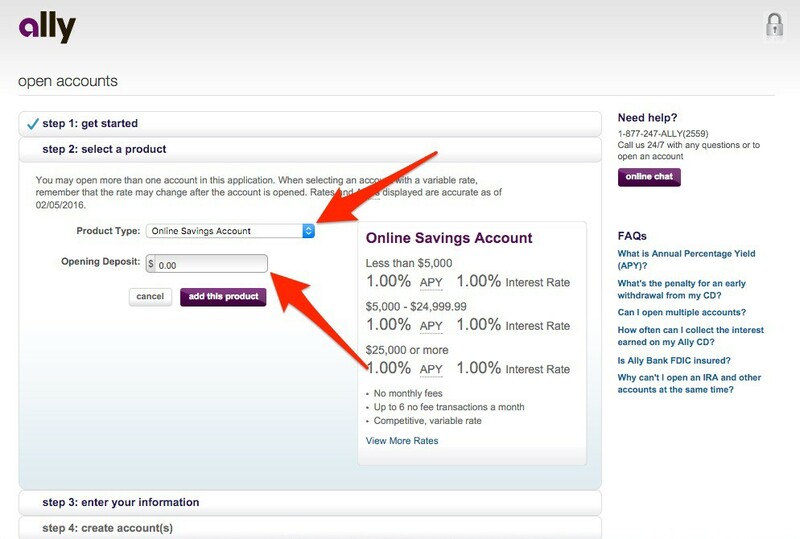 I haven’t had a need to for multiple separate savings accounts for the type of purposes you illustrate, but I suspect the same multiple account approach can be set up at most online banks. Nice Ron! I’m glad you’ve enjoyed Ally. At this time, I don’t have high enough balances that it’s been worth my time to try and find an account with 0.1 – 0.4% better interest. But I didn’t realize that about CIT bank, that’s definitely good to know. As far as multiple savings account, I’m a huge fan of this. And I’ve looked around at a bunch of different online banks and few of them (at the time I was looking) would let you open multiple accounts and actually change the names of them. When I left Discover 2 years ago, that was the main reason I left. I’ve really enjoyed naming the accounts specific to what I’m saving for. That’s super interesting about your CD strategy. Again, I haven’t really invested in CDs recently because the gain has only been marginally better than a purely liquid savings account, so I’ve stayed there. But, as interest rates continue to rise, this is something I should probably pay more attention to. Nick, you are welcome. I’m a different situation than you. I turn 76 on Friday and have been watching a 55+ community for a desirable resale. I’ve a bit over $400K that I’m keeping fairly liquid so I can buy without having contingency of needing to sell my current home to buy [ab all cash purchase]. Thus, I’m trying to earn as much as possible on a large sum without being looked into longer terms and potential penalties. After purchase and sale of current home, I be back into my almost all equity asset allocation portfolio, keeping a $50K to $70K contingency fund, possibly in laddered CDs since early withdrawal penalties may not be as big a factor with money I not likely to access except in an extreme emergency. I appreciate your articles. You write much better than I do. 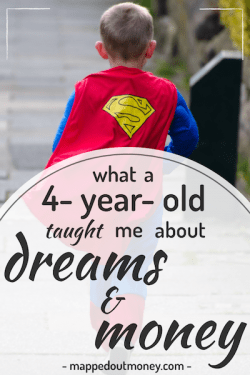 The articles are excellent starter advice I can extract and use with my grandchildren as I hope to progress them into building a money management and investment plan. Love it Ron! This is so inspiring, and definitely the kind of position I want to be in when I’m your age. It 100% makes sense to chase small increases when you’re talking about $400K. Your strategy makes complete sense to me. I’m glad you found my site and stopped by. And thanks so much for complimenting the articles. It’s been a lot of fun and I certainly hope you can point your grandchildren in the right direction. It sounds like they have a lot to learn from you, hopefully, they’re good listeners! Yes, the wait time had me confused at first as well. But glad it gave you some peace of mind. Thanks for stopping by!